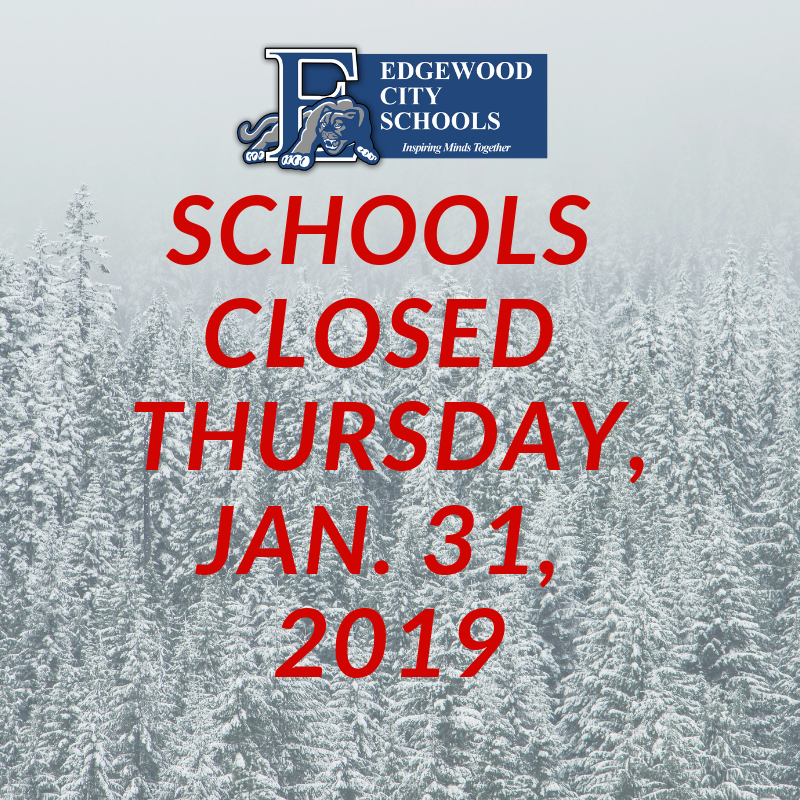 ALL EDGEWOOD CITY SCHOOLS will be CLOSED on THURSDAY, JANUARY 31 due to weather conditions. Temperatures are not expected to rise until tomorrow afternoon. 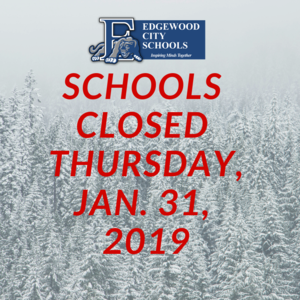 At this time, all afternoon and evening high school events will take place as scheduled on Thursday.